Matanzas itself is one of the jewels of this Caribbean island. This time we’ll explore the treasures of the second largest province in Cuba. Discover this region with Bed and Breakfast in Cuba, Bandbcuba.com and start planning your next trip. It was 1509 at the Bay of Guanimar when a boat with more than 30 Spaniards navigated near the Cuban coast. At the time, they haven`t conquered the island yet. A group of indigenous offered to help the navigators to cross the river. But their intentions weren’t exactly friendly. The Spanish accepted their help, which included some food at the locals village. But when they were crossing the river, the natives revealed their true intentions, killing them all but four of the navigators. The survivors were three men and a woman that was taken hostage by a cacique, the leader of the tribe. A few years later the conquest of Cuba was a fact. The prisoners were rescued and the indigenous massacred. In 1513 the Bay of Guanimar was named Matanzas, Spanish word for “the slaughter”, as a reminder of the killing of the boatload. The official name of the city is San Carlos y San Severino de Matanzas and was given to this territory the day of its foundation, October 12th, 1693. The city is the capital of the province with the same name. 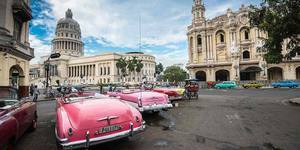 As we said at the beginning, Matanzas is the second largest province in Cuba; it’s located at the western side of the island. Matanzas has been an important economic center to Cuba. Contributing to the development of the island in many areas such as energy, farming, industry, among others. The province is also rich in natural beauties and it has an important cultural heritage. There is a lot to do and see at the city of Matanzas and its surroundings. 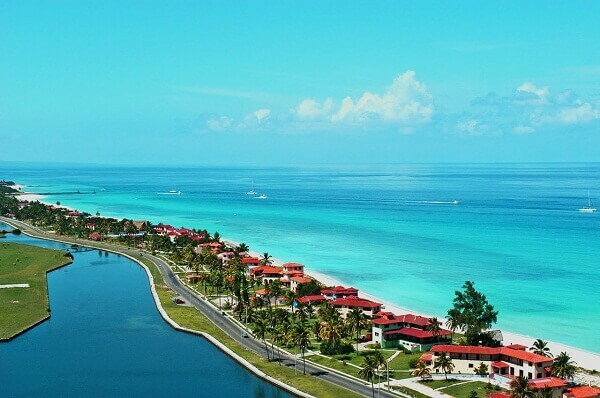 This includes the famous beach of Varadero, one of the best in the world and the main attraction in this province. Not only the Neoclassical buildings are a reminder of the Colonial times, but also the names that were given to the province during those years. Matanzas is also known as “the Venice of Cuba” and “the Athens of Cuba”. 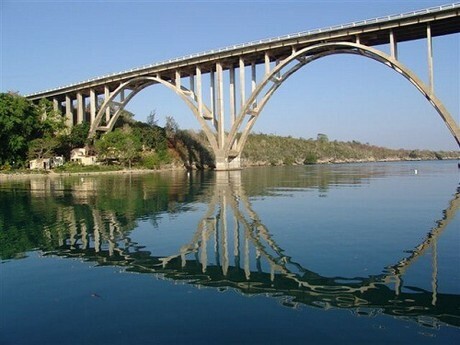 The reason for the first name is that more than 20 bridges were built over the rivers Yumuri, San Juan and Canimar. This brings to the memory the iconic bridges of Venice. Because of this is also known as the City of Bridges. In 1813 the printing press was introduced in Matanzas. By then the city was popular because of the number of poets in it. As a result, she was baptized as The Athens of Cuba by Rafael del Villar in 1860. This name is still used today and it is a source of pride in the city. If you are planning to travel to Cuba, take a few days to stay in a bed and breakfast in Matanzas. 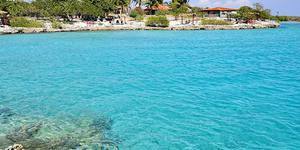 This way you could enjoy some of the most interesting attractions of the Caribbean island. Here are some of them, that you must include in your plans. During the day Matanzas seems to be a quiet city, but it comes to life during the night. Parque de la Libertad is the place to be after dark. People get together at this spot and the city comes to life. This square dates from 1800 and is the second most important colonial square in the city. There are two statues at the center. One of them is an open-armed woman with broken chains that represents freedom. And the other one is Jose Marti’s. By the square is located the theater Sala White, constructed in tribute to violinist Jose White. But this is just a little piece of the cultural and musical scene in Matanzas. If you are getting around Cuba because of its music, you have to make a stop in Matanzas. This is the place where Rumba was born. This sound has its origin in the African drums and it became the first national dance of Cuba. Every year, from October 10th and during 10 days take place The Rumbero Festival. A celebration that reminds the origin of rumba, but it is also the anniversary of the city on October 12th. Miguel Faide is one of the famous musicians from Matanzas. He was the creator of Danzon, which is recognized as the National Dance. It was played for the first time in the city and is linked to the origin of other music genres such as mambo, guachacha, and danzonete. Among the famous musicians from the province, we also find Aniceto Diaz, Damaso Perez Prado, Arsenio Rodriguez and Barbarito Diez. A band that needs to be mentioned is La Sonora Matancera. It was born in the twenties at the city. They became the most famous Cuban band. It does not wear that back in time people experimented with mummification to preserve the bodies of their loved ones. There are a few examples in the continent, and one of them is in here in Cuba. The mummy of Matanzas was found in 1965 at the San Carlos Matanzas Cemetery. The body was intact and only the eyes were missing. The body of the woman was left at the cemetery, but 15 years later a man took the head, taking home with him and began hammering her. Someone notified the authorities who took the head back. Ercilio Vento was the forensic anthropologist who first discovers the body and he also was in charge of the restoration of the head. He took five years to complete the job. And he also investigated who was this woman. According to the results of the investigation, her name was Josefa Petronila Margarita Ponce de León Herederos. She had died in 1872 at age 56. During 20 years Vento kept the mummy at his home, and then he gave it to the Palacio de Junco, that house the Provincial Museum. The mummy became one of the main attractions of the museum, but there is a lot of history preserved at this place. Visitors would know how used to live the Cuban aristocrats during the colonial time, and also the life of slaves. In 2005 the Aqueduct of Matanzas was chosen as a monument of the nation. The history of this aqueduct, that still brings water to the town began in 1845. Manuel del Portillo was the first who presented the project, but he didn’t succeed. Then, Juan Sanchez de Barcena tried to start again but he didn’t get enough financing. A few years later, in 1870, the engineer Fernando Heydrich prepared his own project. And this time it was possible to do it. Since 1912 the aqueduct brings water from the springs Bello y Benavides to Matanzas. The Provincial Museum is not the only one in the city that worth visiting. There are plenty of them. One of them is the Museo Farmaceutico, a former French pharmacy opened in 1882. It still looks like it used to be and inside there are collections of the original porcelain bottles, containers, laboratory instruments and many more. There are even over a million prescriptions with the formulas to prepare the natural medicine. It was the first pharmacy of this type in Latin America. El Morillo is a historical museum. It was built in the 18th century as a defense fortress. It was renovated in 1975 and is a National monument since 1991. Another National Monument is Castillo de San Severino. It dates from 1734 and is one of the largest fortresses in the continent. Museo de los Bomberos, located at the Plaza de la Vigía. Iglesia de Monserrate, located above the city, offers a great view of Matanzas. Teatro Sauto, one of the most famous theatres in Cuba. Miguel Failde Perez Museum, this is the house of the musician who was the first to play the danzon. Nelson Barrera cultural center. It’s a good place to learn about Afro-Cuban history. Matanzas is also known for the wonderful landscapes around the provinces. 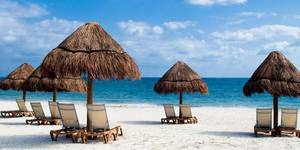 Visitors who like beaches look for a transportation from Havana to Varadero. This is not just one of the best beaches in Cuba, but in the world. 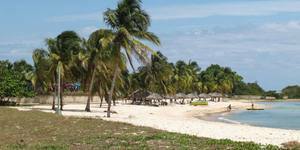 Another famous beach in this province is Playa Giron, located on the south coast. The Cienaga de Zapata or Zapata Swamp is another natural site to visit if you like the adventure. 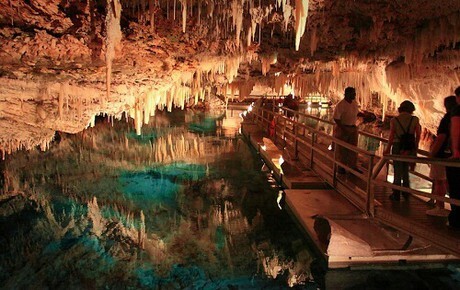 There is also a system of caves known as Cuevas de Bellamar, this is one of the largest in Cuba. These are some of the places you can enjoy during your stay in Matanzas. Remember to plan an itinerary and get all the information you can to have a nice trip. Did you know Matanzas and the treasures of the second largest province in Cuba? Contact us if you want to book an accommodation in the city.